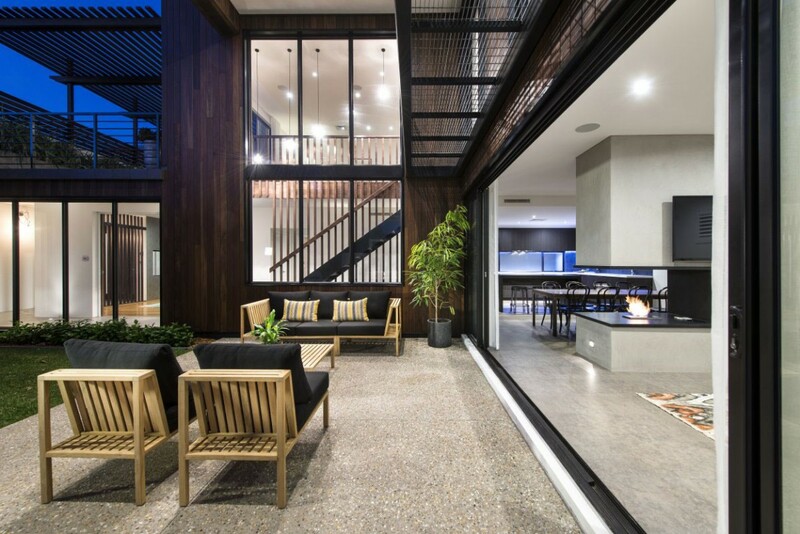 This contemporary home located in Perth, Australia is a perfect mixture of modern and industrial styling. The exterior of the house is a rich combination of wooden panelling and metal constructions, which tower over a wonderful little terrace space on the ground floor. The first floor consists of a library, powder room, laundry room with a separate wing containing a dressing room and bathroom. One the second floor we have a separate living room and a balcony which overlooks the courtyard and surrounding areas. At the very top of the house, there are bedrooms, a shared bathroom and separate kitchen. All of these rooms are decorated with a modern style, with eclectic additions which give the rooms character. Design and photos of Residential Attitudes.